Do pharmacists use social media for patient care? Background Social media are frequently used by consumers and healthcare professionals. However, it is not clear how pharmacists use social media as part of their daily professional practice. Objective This study investigated the role social media play in pharmacy practice, particularly in patient care and how pharmacists interact online with patients and laypeople. 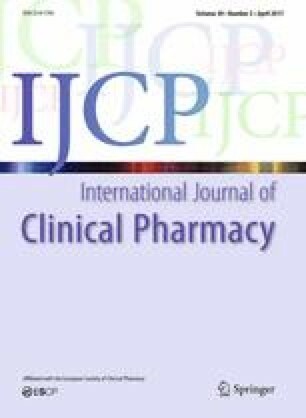 Setting Face-to-face, telephone, or Skype interviews with practising pharmacists (n = 31) from nine countries. Method In-depth semi-structured interviews; audio-recorded, transcribed verbatim, and thematically analysed. Main outcome measure Two themes related to the use of social media for patient care: social media and pharmacy practice, and pharmacists’ online interactions with customers and the public. Results Most participants were community pharmacists. They did not provide individualized services to consumers via social media, despite most of them working in a pharmacy with a Facebook page. No participant “friended” consumers on Facebook as it was perceived to blur the boundary between professional and personal relationships. However, they occasionally provided advice and general health information on social media to friends and followers, and more commonly corrected misleading health information spread on Facebook. Short YouTube videos were used to support patient counselling in community pharmacy. Conclusions Participants recognized the potential social media has for health. However, its use to support patient care and deliver pharmacy services was very incipient. Pharmacists as medicine experts are well equipped to contribute to improvements in social media medicines-related information, learn from consumers’ online activities, and design new ways of delivering care to communities and individuals. The online version of this article (doi: 10.1007/s11096-017-0444-4) contains supplementary material, which is available to authorized users. We wish to thank all participants who provided their time, valuable experiences and opinions, as well as the assistance of Ms Tara Hehir. This study received financial support from the International Pharmaceutical Federation (FIP). Arcelio Benetoli holds a scholarship from the Brazilian Government/National Council for Scientific and Technological Development (CNPq) “Science Without Borders” Program. Benetoli A, Chen TF, Schaefer M, Chaar B, Aslani P. Pharmacists’ perceptions of professionalism on social networking sites. Res Social Adm Pharm. 2016. doi: 10.1016/j.sapharm.2016.05.044. Pharmacy Council of New Zealand. Social Media and the Pharmacy Profession: a practical guide to online professionalism for pharmacists and pharmacy students. 2013. http://www.pharmacycouncil.org.nz/cms_show_download.php?id=317. Accessed 09 Oct 2013. Pharmaceutical Society of Australia. Guidance on using the Internet and social media. 2013. https://www.psa.org.au/policies/guidance-on-using-the-internet-or-social-media. Accessed 09 Oct 2013. Royal Pharmaceutical Society. Social media guidance: top social media best tips for pharmacists. 2013. http://www.rpharms.com/unsecure-support-resources/social-media-guidance.asp. Accessed 09 Oct 2013.